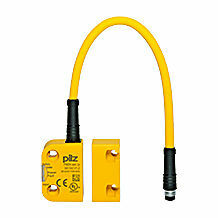 Pilz offers a wide range of safety sensors that conform to international standards and have been tested by certification bodies. Our sensor technology portfolio includes safety switches for monitoring positions, as well as guards. 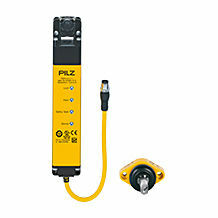 Optical sensors are ideally suited for area and zone monitoring. Choose from our wide range of light curtains, camera systems or tactile sensors, such as pressure-sensitive safety mats. Use our safe sensors in conjunction with our safe control technology! 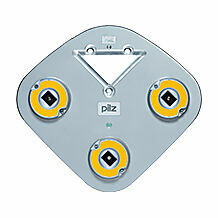 You will obtain an economical and safe complete solution from Pilz. As well as being able to guarantee high efficiency for plants in the industrial environment, it is also especially important for us as a sensor manufacturer to protect humans, machinery and the environment. Intelligent sensor technology: Holistic thinking. Modular solutions. With our safety sensors for industrial use, you're always on the safe side! 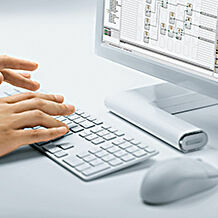 Today, production is very agile, that is it changes rapidly. Therefore, flexible and adaptable sensors are needed. 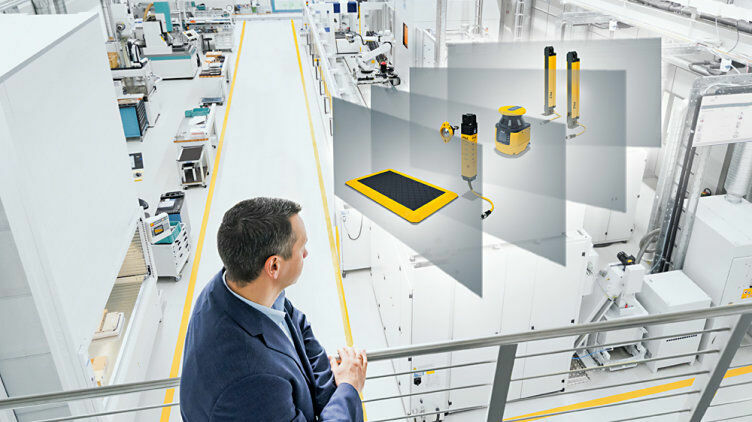 To be ideally equipped for the increased requirements in the modern, smart factory, our sensor technology has developed further into intelligent systems that can be used to implement a wide range of solutions. Whether mechanical, magnetic, RFID, optical or camera-based: Productivity and user-friendliness are always in the focus of our safety sensors. 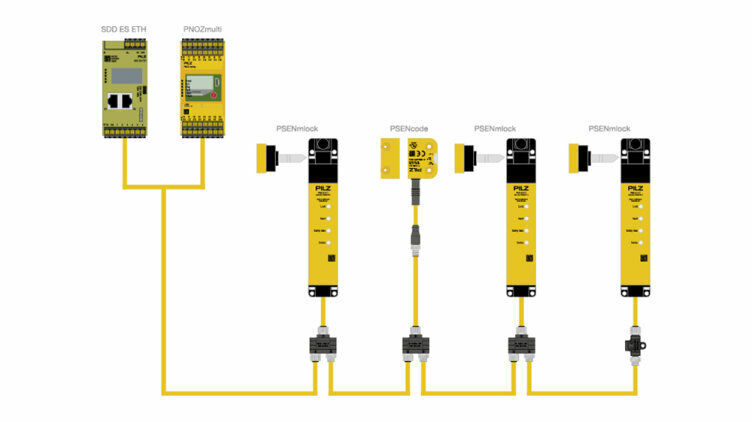 Whatever the industrial sensors you decide to choose: Together with our control systems, the matching drive technology and visualisation, you receive a safe and economical complete solution from one source. And the best thing about it is: Our solutions are individually expandable, so that you can profit from a high flexibility! Sensor technology is acquiring an increasingly important role in automation. Plant and machine operators increasingly rely on individual solutions. With our modular safety gate systems, we offer you a flexible safety gate solution. The modular safety gate system includes various safety gate sensors, pushbutton units and accessories. 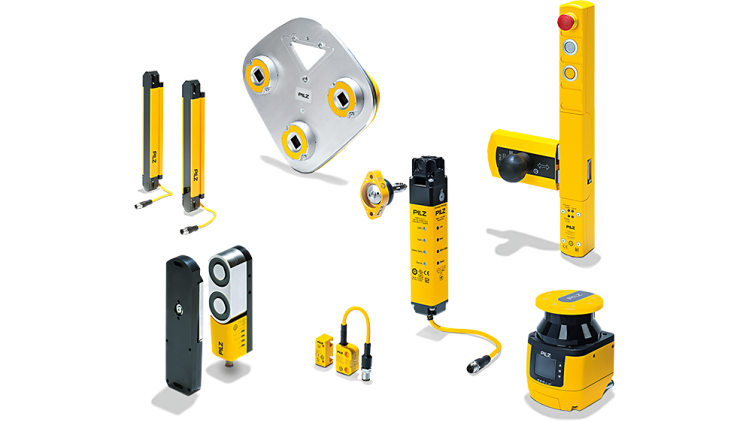 Assemble the safety solution that fits your requirements! Benefit from an economical series connection, rapid diagnostics, additional control and pushbutton elements and an optional escape release! In addition to adaptivity, networking is in demand in the production of the future. Intelligent sensors are indispensable for networked production processes. To guarantee functional safety and to reduce downtimes, extensive data must be available. Then the Safety Device Diagnostics is the right one for you! It allows you to make a low-cost daisy chain configuration and simple and comprehensive diagnostics of safety devices. This way, you maintain an overview of the diagnostic data of your safety devices, any time, anywhere. At the same time, you can complete the maintenance thinking ahead. 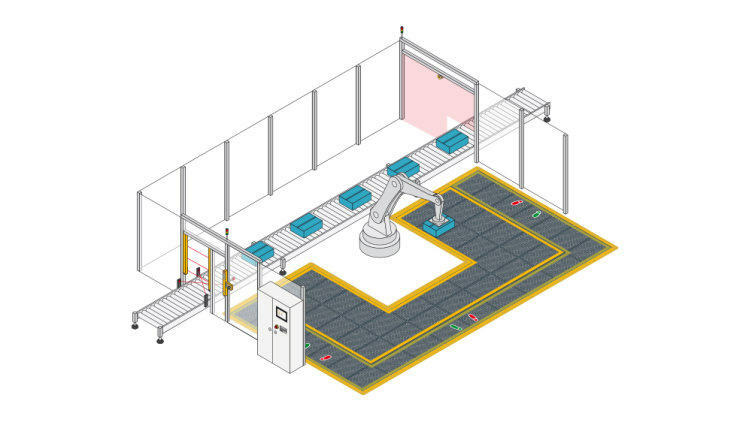 For human-robot collaboration, our intelligent safe sensor technology also offers new opportunities: With the dynamic pressure-sensitive safety mat PSENmat you can monitor not only areas. PSENmat is equipped with an integral switch function, which you can use to control operating processes of you plants and machines or to perform the quality control, for example. 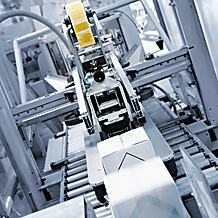 For functional safety of the material handling with robots, relay on our optoelectronic sensors! Our light curtains PSENopt and our safety laser scanners PSENscan are characterised by a particularly high robustness. The encoder PSENenco is used to determine position and speed. The safety switches PSENmech, PSENmag, PSENcode, PSENhinge and the safety bolt PSENbolt are available with various designs and operating principles. They can be used even in difficult environmental conditions. 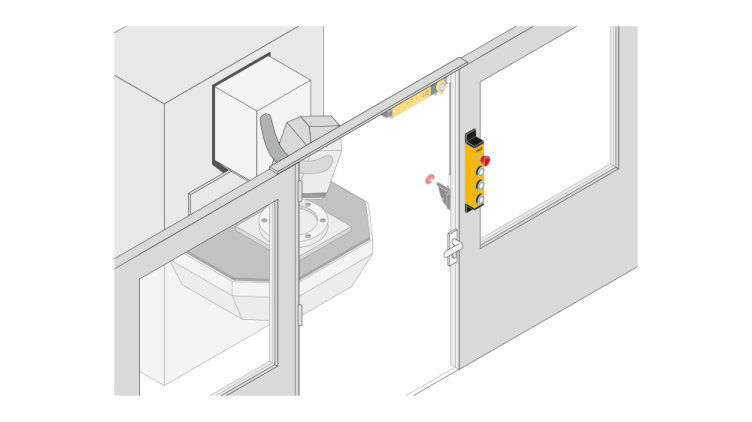 The safety gate systems PSENslock and PSENsgate from our sensor technology portfolio include all the safety functions needed to monitor safety gates in the smallest possible space. 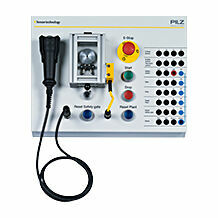 Safe position monitoring, guard locking and monitoring for broken bolts/pins are all contained in one system! Safeguard your plant and machinery with optoelectronic sensors! Our portfolio comprises the light barriers PSENopt and the safety laser scanner PSENscan. SafetyEYE is the world’s first “seeing” safety technology for 3D zone monitoring. 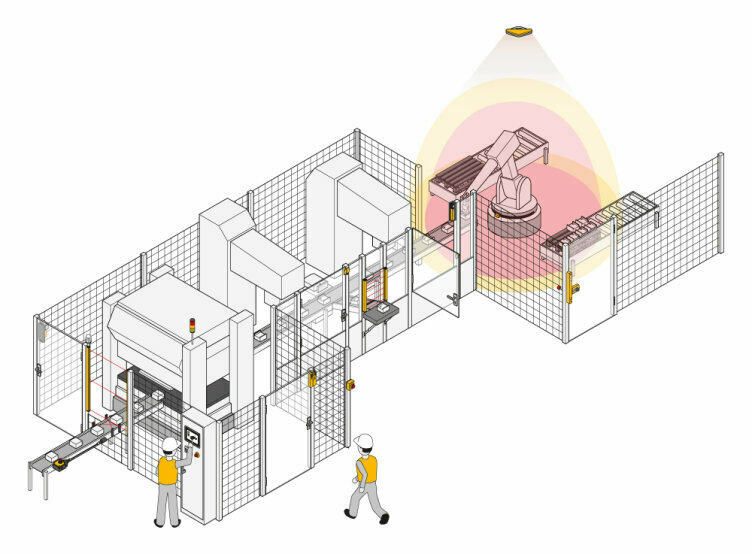 The camera-based protection system PSENvip is a mobile protection system for safe monitoring and control of press brakes. 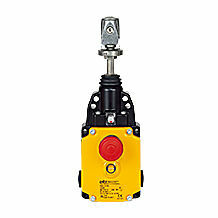 Provide effective protection for danger points with our tactile sensors. 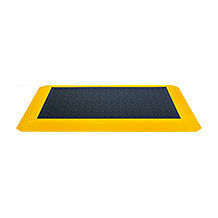 With the pressure-sensitive safety mat PSENmat you have a top-level pressure-sensitive safeguard. 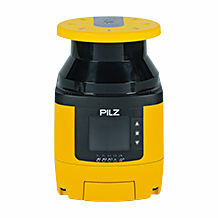 Our software tools in the sensor technology range provide support during the design and programming of your sensor technology products from Pilz. We offer you e.g. tools for the PSENopt Advanced light barriers or the safe camera system SafetyEYE.